Prestonwood is a tranquil residential neighborhood in southern Tyler, Texas. It has a lot to offer potential residents in the way of nature, educational and cultural facilities, and community involvement. The neighborhood’s peaceful surroundings are complimented by its accessibility to the modern facilities and fascinating events that Tyler has to offer. Prestonwood is part of a community with a proclivity towards family values. Job security and educational advancement is a foremost priority here. Tyler is a regional educational and technological center. It is home to the University of Texas at Tyler, Tyler Junior College, Texas College, College of Engineering and University Health Science Center. Over a dozen Christian churches and schools reside in the vicinity. Community centers and youth organizations abound. The city’s rose-growing industry is a national leader in the field. Tyler is the headquarters for Brookshire Grocery Company and its main distribution center, which operates supermarkets in the surrounding states. Thousands of tourists visit Tyler every October for the Texas Rose Festival. This is an annual celebration of their world renowned rose-growing industry. Public events pepper the calendar in addition to tours of America’s largest rose garden. The East Texas State Fair is another annual event held nearby. This is a family friendly event filled with circus events, musical performances and artistic competitions. Cultural organizations in historic downtown Tyler provide a thorough chronicle of Texas’ eventful past. 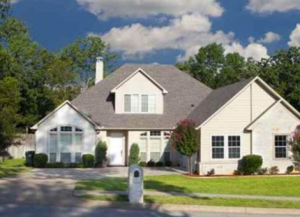 Its close proximity to two large parks makes Prestonwood a nature-lovers paradise. Faulkner park to the south provides ample fishing as well as running and cycling tracks. The Hollytree Country Club, a stone’s throw to the northwest, boasts a championship golf course, tennis courts, swimming pools and year round events for the family. A short drive delivers the Prestonwood resident to the massive lakes Palestine, and Tyler. Miles of hiking trails and walkways add a down-to-earth touch to an already well-structured transportation system. The future of Tyler looks bright. The local government is five years into a 20-year city wide infrastructure and public works maintenance plan titled “Tyler 1st”. That is not a surprising feat for the city that originated the Adopt-a-Highway movement, and has one of the lowest property tax rates in Texas. The level of commitment that Tyler has to the quality of life of its residents makes it an ideal location for a home.